Xylem introduces Concertor, a fully integrated system that offers a unique synergy between software functions and state-of-the-art hardware. Concertor’s system design works in harmony to reduce your total cost of ownership while delivering the highest quality and reliability. 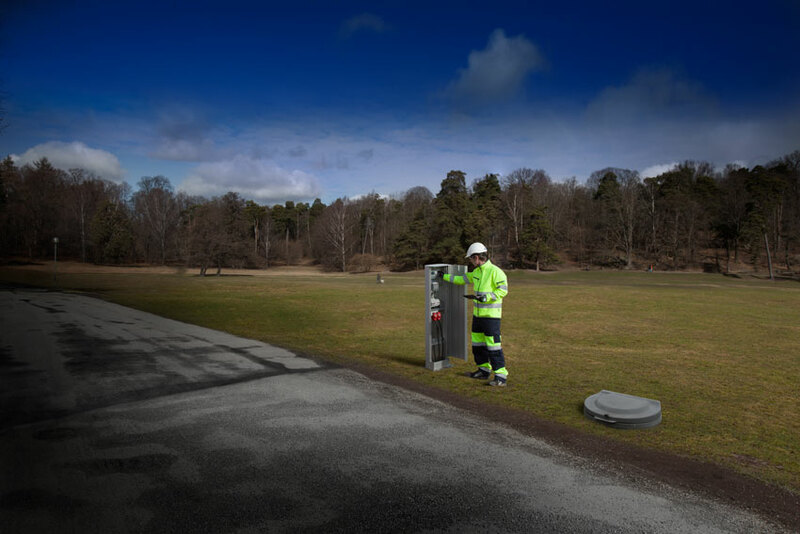 This new wastewater pumping system senses the operating conditions of its environment and adapts its performance in real time to provide feedback to station operators. 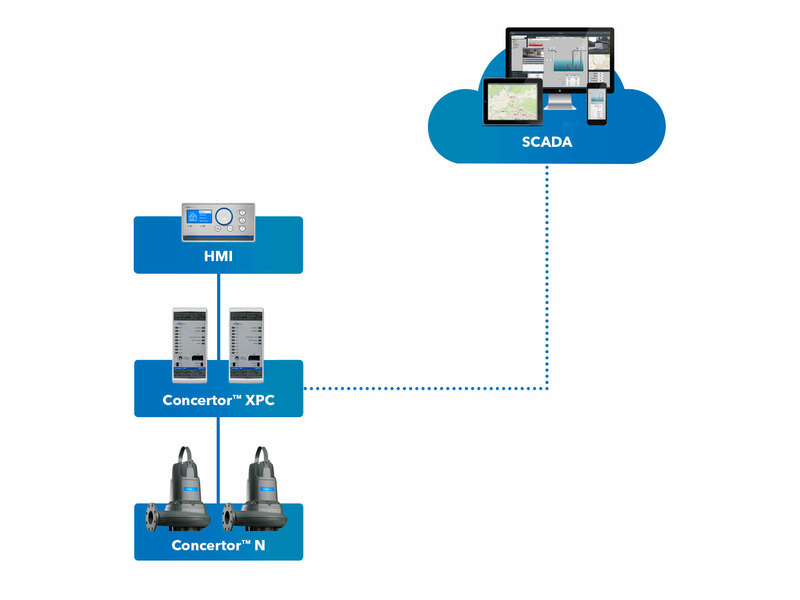 With high operational flexibility, Concertor takes wastewater pumping to a whole new level. Concertor combines a fully integrated control system with IE4 motor efficiency, the state-of-the-art N-hydraulic and intelligent functionalities – all based on 60 years of Flygt wastewater pumping experience. 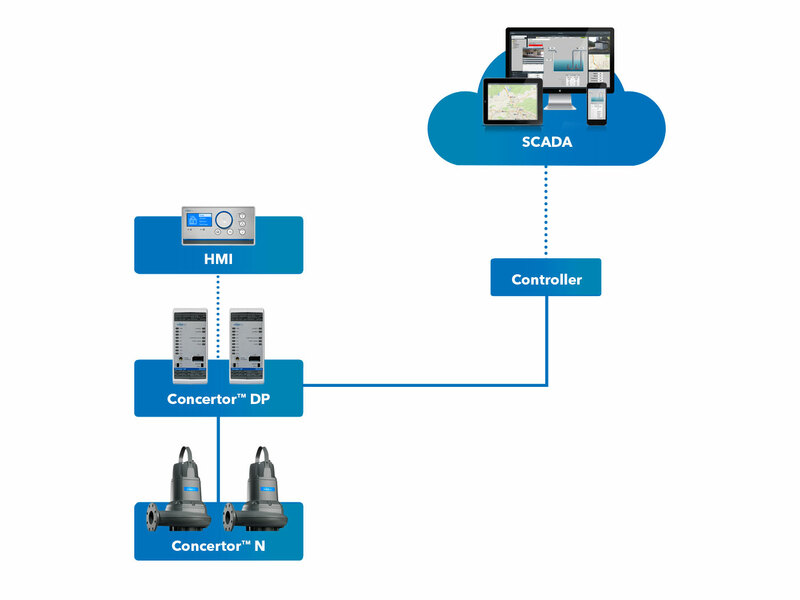 By integrating a control system that can automatically adapt to the changing wastewater environment, you get the optimal level of performance, while significantly reducing your total cost of ownership. The built-in intelligence makes it quicker and easier to set-up and operate functions that would otherwise require a very sophisticated monitoring and control system. We have achieved all this with a significantly smaller footprint. Selecting the right product for your pump station just got a lot easier. 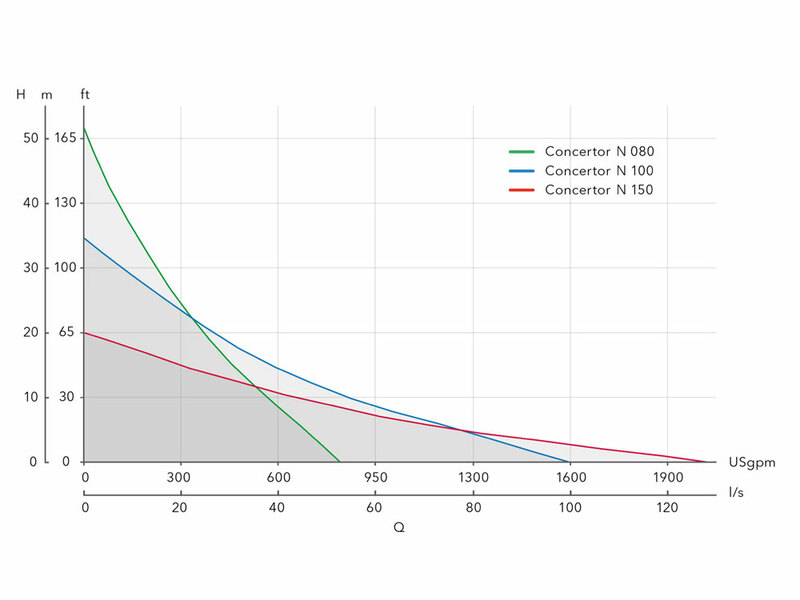 Xylem’s Flygt Concertor offers a performance field covering a wide range of pump curves. No need to worry about having perfect station design data. No need for large stocks of inventory. 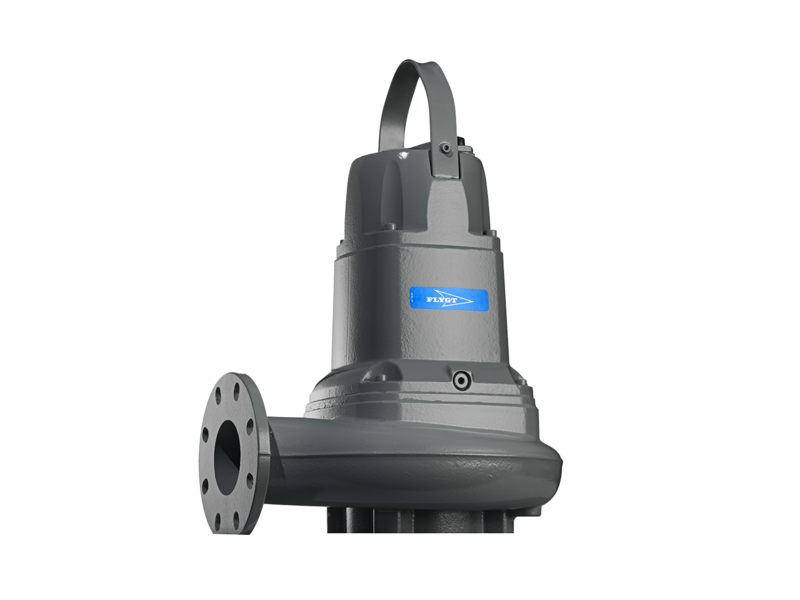 One pump self-adjusts or can be adjusted to fit changing conditions – without changing impeller diameters or motor size. Cleaning out sludge, sand, grease and other debris from a sump tank can be an unpleasant and costly task. While standard pumps are designed to combat many of these issues, Concertor takes trouble-free pumping to an entirely new level. The answer lies in a unique combination of state-of-the-art technologies that work in harmony with intelligent functionalities to keep your wet well clean and your pump clog-free at all times. Concertor is well proven in the fields in several locations globally, the results are remarkable. 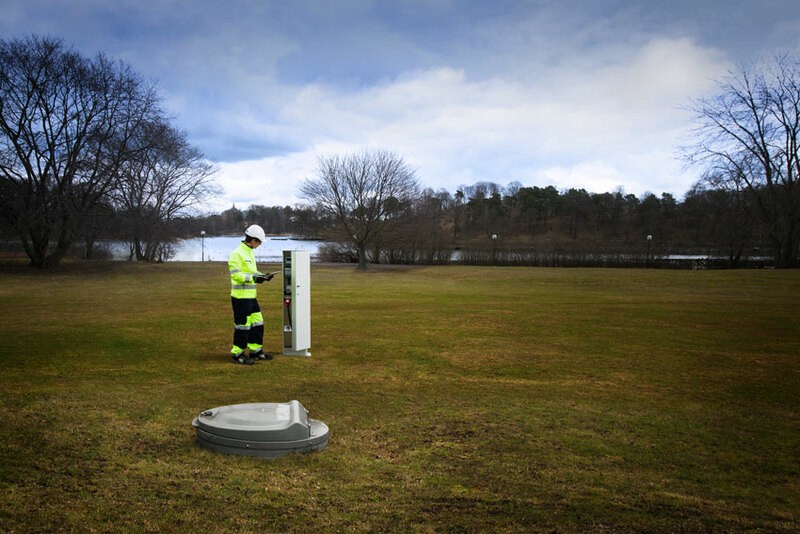 To reduce sedimentation, odor build-up and unplanned call-outs, we have added built-in sump and pipe cleaning functionality in a single integrated wastewater pumping system. Extensive trials show that this dramatically minimizes unplanned and costly maintenance. 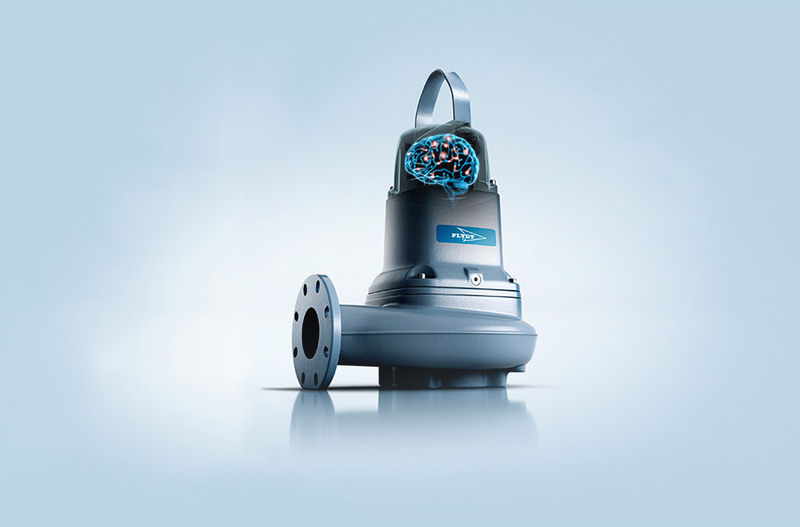 An integrated pump cleaning function, together with our patented Adaptive N-technology, detects and resolves clogging from large debris. Energy consumption adds up. In fact, studies show that energy accounts for 34% of the total life cycle cost of a typical wastewater pumping system. Concertor is a true energy-saver with the potential to cut your municipal electric bill by up to 70% compared to a conventional wastewater pumping system. Equipped with a combination of application proven software and next-generation hardware, Concertor reduces energy in many ways. 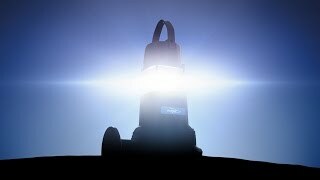 For example, our patented Energy Minimizer function automatically ensures that all the pumps in your stations are running at their most efficient duty points, at all times. Customers often tell us they appreciate equipment that is robust and reliable but also easy to use. While advanced functionality has advantages, it also requires additional components, custom engineering and large cabinets. Concertor solves all this by integrating everything into one single, pre-engineered and configured system. The compact design frees up space in both existing and new cabinets, allowing for full monitoring functionality without a traditional larger cabinet. 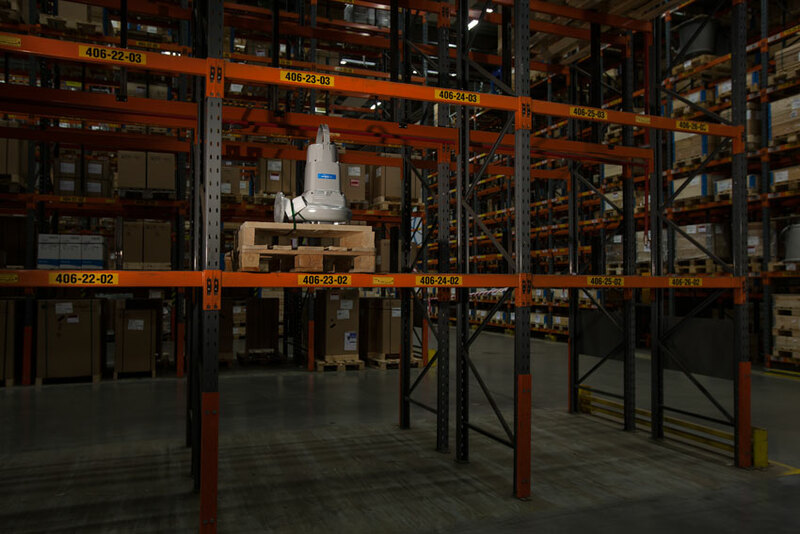 All functions are pre-engineered, configured and tested as a total solution – straight from the factory. Installation and commissioning is also swift and stress-free thanks to a helpful set-up wizard the straightforward cabinet design. 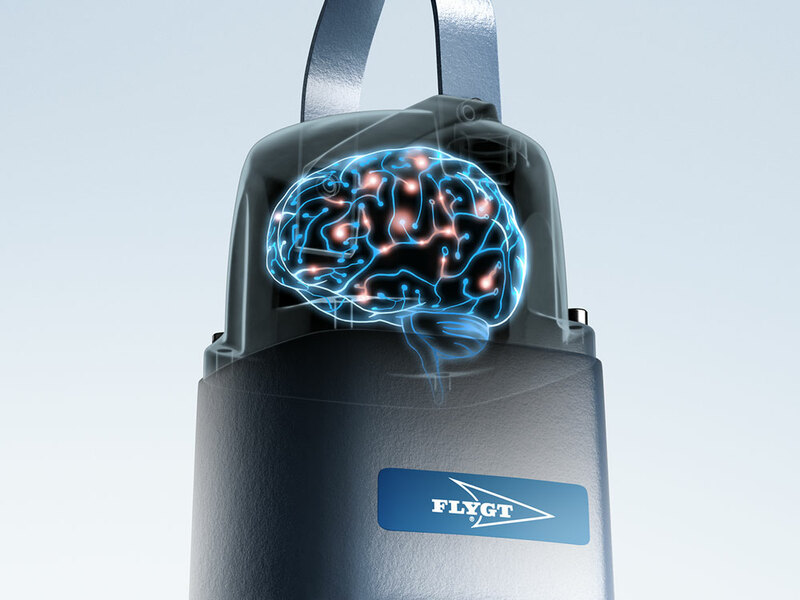 Flygt Concertor is an integrated and powerful wastewater pumping system that delivers high performance in four scalable configurations. The right system for you will depend on your specific application requirements – i.e. whether you already have a process controller to regulate pump performance. Since the system is scalable and flexible, you can migrate from one solution to another as your needs evolve.